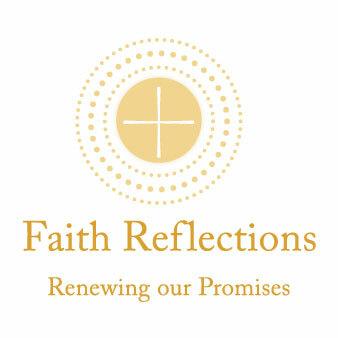 This reflection reminds us of the beginnings of our faith, and how we continue to develop as Catholic adults, working to strengthen our faith and work through obstacles in our lives that could become hurdles in our growth as Christians. We start our lives as children of God with our godparents making promises on our behalf at our Baptism. The sacraments of First Communion and Confirmation are our early expressions of our relationship with God, and our young promises to follow Christ. As we grow throughout our lives, those sacraments and the promises inherent in them also grow. When we experienced reconciliation for the first time or received the body and blood of Christ through the Eucharist, our lifelong bridge to God was already being strengthened. Our devotion to St. Jude is another bridge that unites our hearts with God. The hope of St. Jude is a refuge for our fears and our gratitude, reminding us we are never alone, and that his intercession is there for us. God’s compassion is continually revealed through the hope of St. Jude. There is a unique and perhaps surprising spiritual process we are involved in as we find renewal through the same sacraments at every stage of life. This is especially true of receiving the Eucharist, which moves from being an exciting rite of passage to the restorative sacrament that reminds us each time we receive it that Christ lives in us. The rhythm the sacraments bring to our lives forms the foundation of our ongoing growth in our relationship with God.